Can I Register An Equity Lines In My Going Public Transaction? Can I Register An Equity Lines In My Going Public Transaction? Can I Register An Equity Line In My Going Public Transaction? In going public transactions, issuers consider many capital raising options. One capital raising option is the equity credit line. Most equity lines are structured so that the investor enters into an agreement with the Company giving it has the right, during the equity line term and subject to certain conditions, to put its securities to the investor. Equity credit lines are also commonly structured in private placements pursuant to Rule 506 of Regulation D with an obligation for the Company to file a registration statement on Form S-1 to register the resale of the securities sold under the equity line. Where a Rule 506 offering is combined with a Form S-1 registration statement, due to the delayed nature of the investment, and because the investor’s funds are not at risk at the time the resale registration statement is filed, the SEC deems the registration to be an indirect primary offering. Under these circumstances, the company may register the “resale” of the securities before exercising the “put” under limited circumstances. The company must complete ” the Rule 506 offering with respect to all of the securities covered by the Form S-1 registration statement that are being registered resale BEFORE the Form S-1 is filed with the SEC; and the investor must be identified as an underwriter as well as a selling shareholder in the prospectus. If the Company cannot meet these conditions, the company may register the securities for resale if it is primarily eligible to use Form S-3 and disclose the potential violation of Section 5 in connection with the Rule 506 offering. 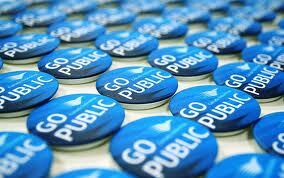 For more information about going public transactions please visit our blog post here.